ACIDIC WATER TREATMENT PROTECTS AGAINST ACID WATER, CORROSION AND IRON STAINING. 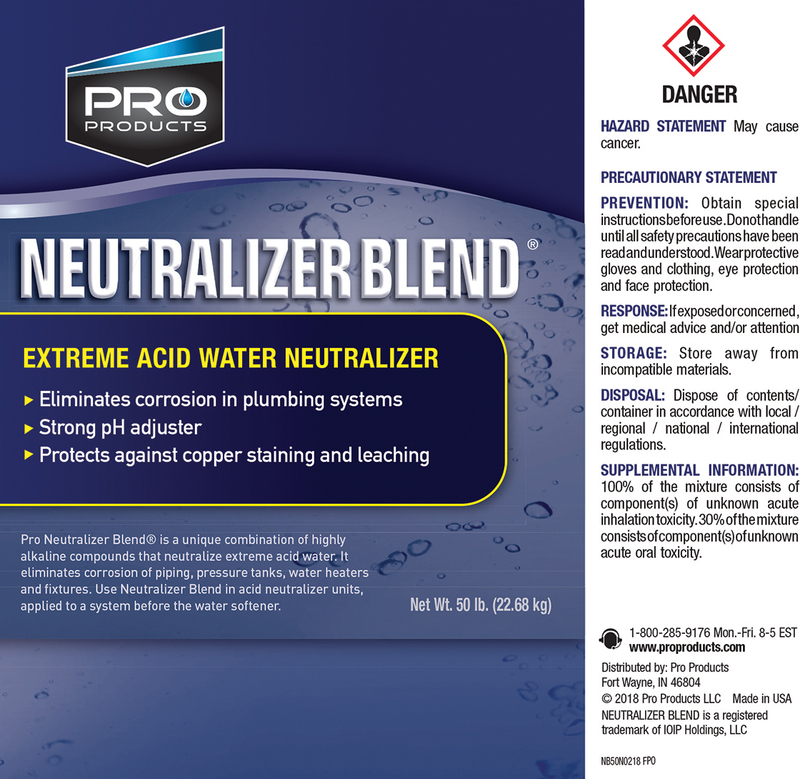 Pro Neutralizer Blend acidic water treatment is a unique blend of highly alkaline compounds designed to neutralize extreme acid water, and provides superior protection against Acid Water and Corrosion. 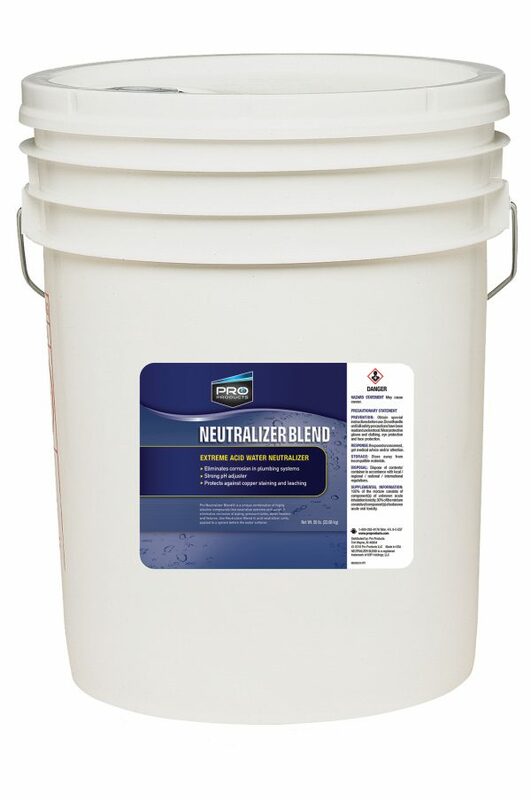 Neutralizer Blend is the perfect choice for consumers looking to eliminate corrosion of piping, pressure tanks, water heaters and fixtures. Please note, this product is designed for use in acid neutralizer units and should be applied before a water softener. Available in a 50 lb. size. First Application: Fill media filter with Neutralizer Blend. Inspect periodically and add Neutralizer Blend to bring the bed back up to its original depth. Preventative Maintenance: Backwashing of the bed will eliminate the finest of dissolved particles, thus preventing considerable pressure loss. General Purpose Cleaning: Neutralizer Blend acidic water treatment acts as a filter bed for turbidity, a catalyst for iron reduction, and a neutralizer for low-pH water.